Wait, you haven’t seen it yet. 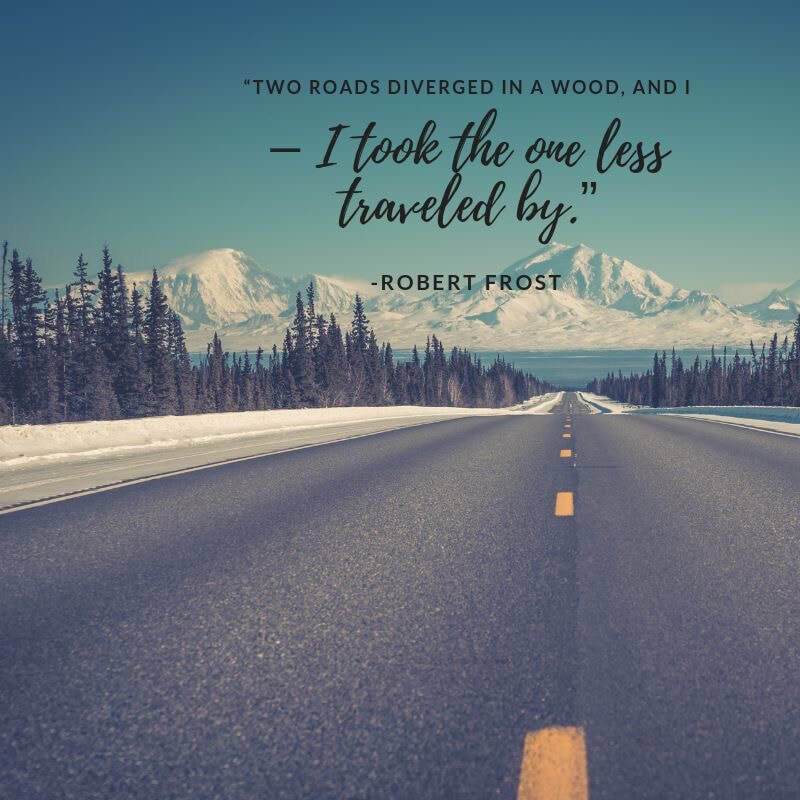 Here’s a list of ten “off the beaten paths” you need to take in 2019. 2. Sandy Beaches of Vanuata in FijiHere’s a real pacific island experience without the crowds – blue holes, wreck diving et al. 3. Omo Valley in Ethiopia (Africa) Escape the modern world with a trip to the villages. You need to spend time with the tribes. 4. Abu Dhabi Forget Dubai, Abu Dhabi is the real deal. 5. Iran You got it right, Iran! And there is more than you know. 6. Svalbard in Norway Do all you can in 24 hours - day and night. Amazing right? 7. Christmas Island in Australia 1, 2, 3... 50 million red crabs. This is an eco-paradise. 8. Tonga Island in Haapai Experience a real laid back feeling with beautiful palm trees. 9. The Solomon Islands Some 992 islands to explore, it’s the real deal. 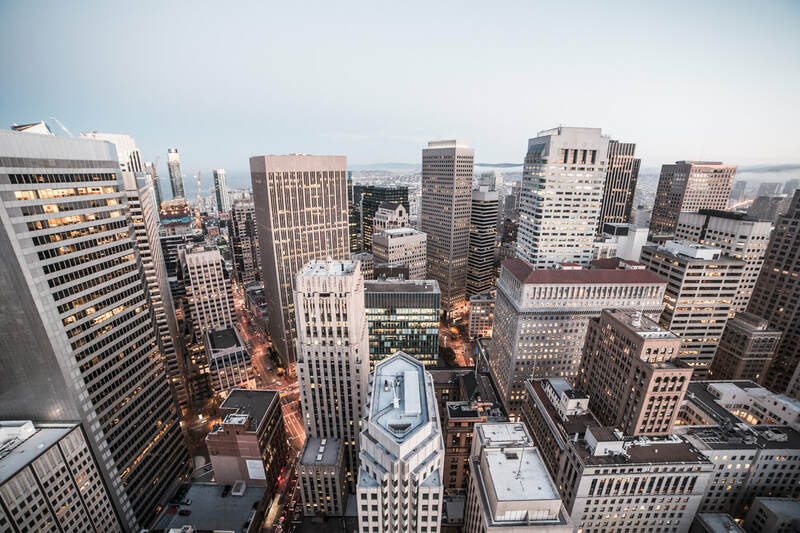 You maybe the king of the streets in New York or the business guru in the U.S. but are less informed of the corporate practice outside of the borders. It’s fine; to an extent, we all are in the same boat. 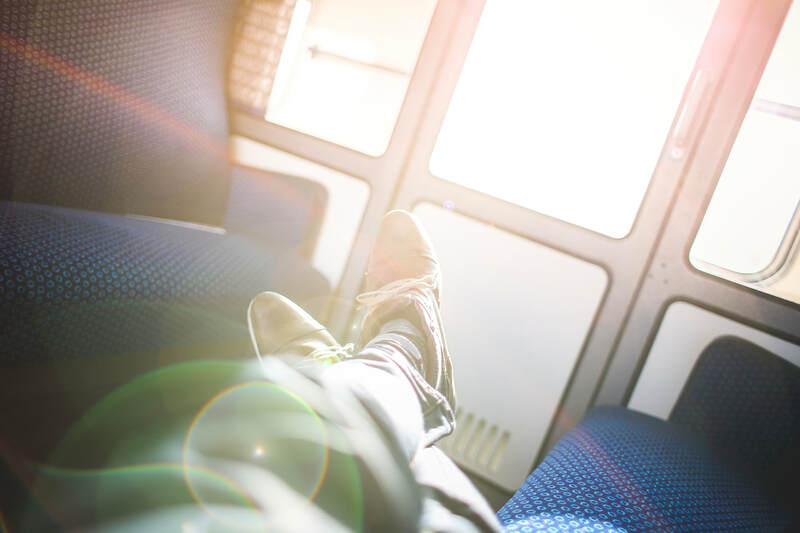 If you plan to travel for work, you should know that our ways of doing things often remain left behind and new ones often embrace us right from the airport to the hotels and conference rooms. 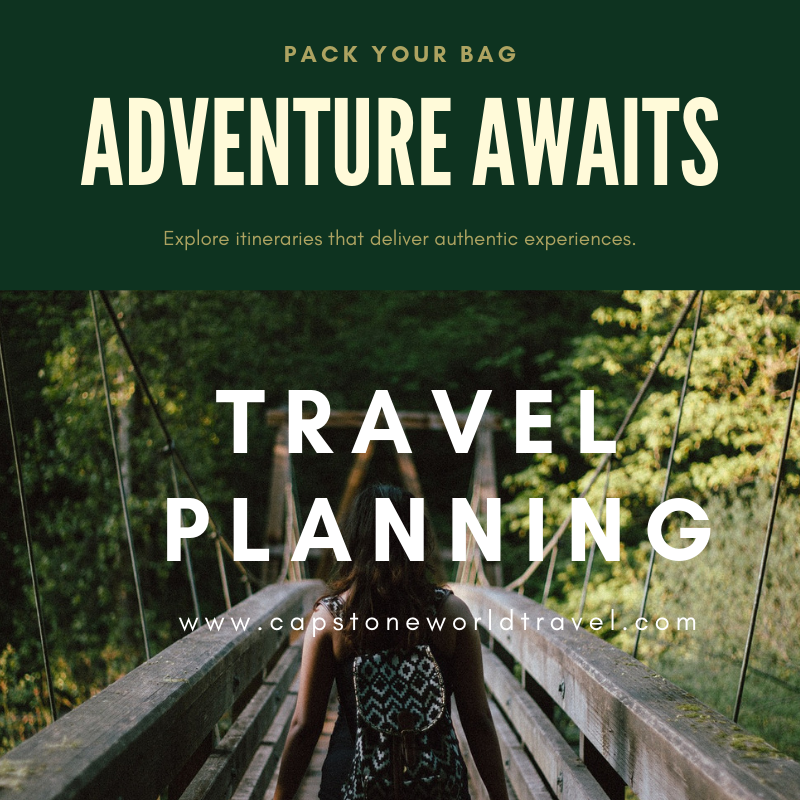 “It’s not only important to prepare for a business trip outside of the borders, it’s essential.” This is according to Dale Kurow, a New York-based travel coach. He says that one must pay enough attention to learning about the country and people s/he intends to visit and stay with respectively, especially if it’s a first trip out. You’ll need to pick up the local country-specific business acumen. “It is important to remember that when you travel for work outside the country, you are not just representing yourself but the country, your company, and your department, which means that you are an ambassador and therefore should act accordingly.” This is according to Andy Teach, the author of From Graduation to Corporation and host of the Youtube channel FromGrradToCorp. The truth is that you are often at liberty to do whatever you please on vacation but not when you travel for work. Lack of proper preparation will not only make you naïve and unsophisticated, but it also bears the risk of embarrassing your host and making you seem less ready for a similar role or position. Lack of proper preparation also bears the risk of negative impact on your future career. This calls for doing some research into the culture and customs of the natives. This would help avoid the possibility of offending the people you are supposed to work and or stay with. It would also come in handy as a security cushion in the sense that you’ll be able to appear more of a local than a tourist. You could do this by reading books or consulting with people who have been to the country. Is my passport up-to-date? Is it within the 6 months of expiration? If that’s the case then you may need to renew it because some countries may not accept it. What vaccinations do I need? Is it necessary to carry an anti-mosquito cream or anti-malaria pills? Will I possibly suffer from altitude sickness? Is the water drinkable? If not, what can I do about it? Can I carry my own bottles or what alternatives do they have in the country? What is the current currency exchange rate? How about the dress code, is it defined like it is in the Islam dominated Middle-East countries where women are not required to show skin. What are some of the most significant customs in that country? For example, in Japan, it is customary to spend some time reading a person’s business card if they hand it to you. Are handshakes and or bows acceptable when greeting someone? How much pressure should I apply in the handshake? Is it expected that I socialize with the people I am working with after business is concluded? Is a gift appropriate for the people I’m working with? If I’m bringing my own equipment for a PowerPoint presentation, what type of electrical adaptor is required? Will any security be required? Who can I contact in case of an emergency? How do they conduct meetings there? Do I need to learn the language? Usually, it helps to learn a few key words. The hosts will appreciate. It’s also important that you know how to show respect in the country you’re traveling to, how to make the initial introduction, what rules apply to tipping and who pays for the meals. In Japan, for instance, business cards are exchanged using both hands and so are gifts. Dressing is also more conservative than in the U.S. You may want to buy more dark business suits for the conferences. The other thing that’s necessary to know is that whichever country you intend to travel to; you will need to master the art of necessary silence while observing how others speak and act. One more thing you need to know is that websites and books are a rich source of information regarding local concerns as customs and foreign regulations. It will help to grab a book or read the local newspaper. There is hardly enough time for a career woman to pack her stuff in the wake of a business trip. Most often than not, we realize at our destination that we have forgotten a lot of important things that should have topped our packing list. As a career woman, I sometimes forget my laptop charger while on a business trip. I had to buy a new one which is more expensive than the one I would have purchased from my home country. Leaving out necessary items for the trip can sometimes be blamed on our busy schedule of trying to balance between being a successful professional, a wife, and, or a mother. This article is therefore intended to help us, women figure out a checklist as we look forward to having a successful trip. The secret to ensuring stress free travel and not miss out on anything, is early planning. There are trips that we are notified on short notice while others take two weeks, one month, or six months to prepare for. If you have a higher likelihood of going for short notice trips, depending on the nature of your business/job, then you will have to be very swift. Unfortunately, however no matter how hard we try, we still miss out a few things here and there. But this can be avoided, more so if you are a regular traveler.There are things like toiletries that you do not have to unpack every time you come back from a trip. Knowing that a prepared toiletry bag has been packed lessens the thinking what to carry for the next trip. If anything, we should just check what needs replenishing and make sure we replace these before our next travel date. But those who have adequate time to prepare should have no excuse whatsoever when it comes to early planning. This stage is important because it saves you both time and money. You are wondering how, right? See this. A report from a corporate-travel firm- Carson Wagonlit Travel (CWT) found out that women save their firms approximately $17 a trip, around 2% of the ticket price because they prefer to do their business flights earlier than men. Planning ahead is key when you want to avoid checking in of bags that come with additional fees and sometimes could be hefty. What documents does one needs to check before travelling? Trave documents comprise several important things that you can not do without in most circumstances, and are very relevant in ensuring a safe, peaceful trip. Ensure enough cash is handy to avoid being stuck. If travelling overseas, know the local currency’s exchange rate. The money we usually carry will help us in sorting out taxi bills and for any other relevant transactions. We can also play safe by carrying your credit cards and ATM cards. But be proactive, check for bank charges when used overseas and notify your bank in advance regarding your travel time and destinations. I usually carry clothing items with basic colors like black, blue or brown for skirts and pants to reduce the weight that I will need to carry. The dark colors come in handy since they do not easily show dirt or inner wears. It doesn’t harm to put it on one more time if we run out of clean clothes. Tops should be able to match the selected bottoms. Always pick out materials that are light and do not take up a lot of space. Don’t forget to add a jacket or blazer that has a solid color scheme and matches the selected bottoms. Do not forget to pack a pajama suit if you know you cannot sleep without one. All work and no play is no fun, pack workout clothes that are not heavy but can dry quickly since you may be forced to wash on the sink and dry them through hanging after exercising. Throw in one or two evening dresses depending on the time table. Don’t over pack shoes. One or two pairs are just enough, so long as they match with the outfits that have been pre-selected. Having a pencil pouch where you can stack in pens, small notebook, glue sticks, diary, Business cards, personal address book, maps, guidebooks, phrase books, and telephone access numbers among other items is always handy. I lived in Japan twice and this is something I learned there. You are wondering if a pencil pouch/case can be used by a business woman? Of course yes. The pencil case is very versatile and functional. Most importantly, it brings order to your collection of writing instruments and other knick knacks. Don’t forget to pack personal items like toilet paper, anti-bacterial wipes, nail cutters, a small tube of moisturizing cream or lotion, small bottle of anti-bacterial soap or hand sanitizer, Cotton ear bud, toothbrush and paste, shampoo, deodorant, a small unbreakable mirror, sewing kit, safety pins, wash cloth and menstrual pads or tampons. Yep, these things we could NOT live without. Carry chargers for all electronics. Be it for cameras, phones,or lap tops. It does not matter whether you will travel away for a few hours or couple of days. If you will be using a camera, remember to carry lenses, batteries, extrtra memory cards, and flash as needed. For the lap tops, remember to pack a flash disk, hard drive, power cord and network cable. If you are the type that gets affected by environmental change or jet lag when you travel, remember to carry a few painkillers of your choice, infection treatment, antihistamine incase you suffer from allergies, malaria tablets, mosquito net or insect repellent, a sun screen, lip balm, contraceptives and any necessary medication (with prescription if required to have one). Lastly, a tip I learned from a close friend who is a frequent traveller, make it a habit to have different suit cases for different travel trips. For short trips that take a few days, a small bag or an overnight bag is usually enough. But in case you are travelling abroad and intend to stay for long, say more than two weeks , get a spacious suit case or luggage. I prefer the box type luggages that are not heavy but are sturdy. With all the above suggestions based from my experiences, you are set for your journey and assured of comfort that will make you feel at ease while travelling and relaxed as you embark on your business trip. Bon voyage! 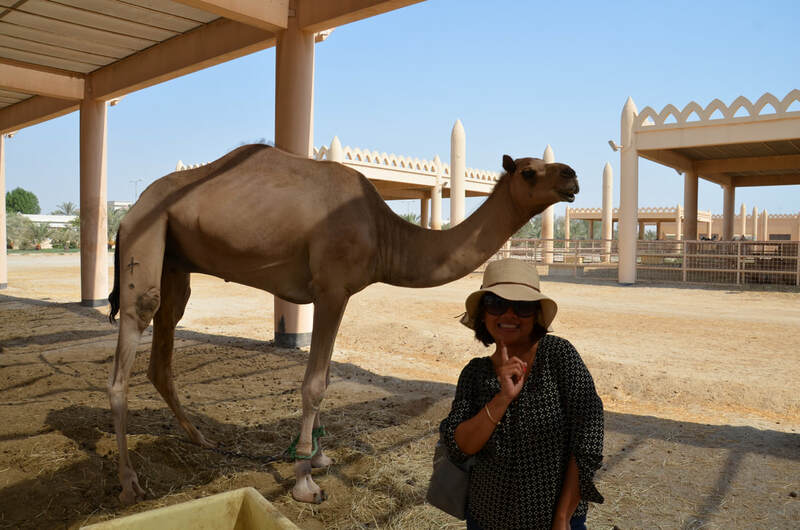 Capstone World Travel's very own Travel and Lifestyle Specialist, Rosette Obedoza at the Royal Camel Farm in Manama, Bahrain. ​Everyone has their own goal when they are in a new city. Some people can’t stop studying the culture and looking for traditional activities. Others love to visit museums, national history and shopping. But for the others, they just go some place new to have a hassle-free stay and be adventurous in trying exotic food. To start the year right, we listed Top 10 things to do in Bahrain for 2017. It is one of the largest mosques in the world, encompassing 6,500 square meters and having the capacity to accommodate over 7,000 worshippers at a time. It was built by the late Sheikh Isa ibn Salman Al Khalifa in 1987 and was named after Ahmed Al Fateh, the founder of Bahrain. In 2006, Al-Fateh became the site of the National Library of Bahrain. It is the largest and one of the oldest public museums in Bahrain. It was built near the King Faisal Highway in Manama and opened in December 1988. The US$30 million museum complex covers 27,800 sq meters and consists of two buildings. The building contains the original nine major galleries, educational hall, gift shop and a cafeteria, in addition to administrative offices, laboratories and warehouses for the Conservation of holdings and parking. The Bahrain International Circuit is a motor sport venue opened in 2004 and used for drag racing, GP2 Series and the annual Bahrain Grand Prix. The 2004 Grand Prix was the first held in the Middle East. It hosted a number of high profile series, including the FIA Formula One World Championship, the FIA World Endurance Championship, the GP2 Series, Chevrolet Lumina Series, Thunder Arabia and Radical. Also every year there is the traditional 24 Hours of Bahrain. It also known as the Bahrain Fort or Fort of Bahrain and previously as the Portugal Fort (Qal'at al Portugal) is an archaeological site located in Bahrain, on the Arabian Peninsula. Archaeological excavations carried out since 1954 have unearthed antiquities from an artificial mound of 12 m (39 ft) height containing seven stratified layers, created by various occupants from 2300 BC up to the 18th century, including Kassites, Greeks, Portuguese and Persians. It was once the capital of the Dilmun civilization and was inscribed as a UNESCO World Heritage Site in 2005. Bab Al Bahrain literally means Gateway of Bahrain. It is is a historical building located in the Customs Square in Manama's former central business district. It marks the main entrance to the Manama Souq. Designed by Sir Charles Belgrave, adviser to the Emir and completed in 1949, Bab Al Bahrain once stood close to the water's edge. Due to extensive land reclamation in the later years, the sea is located a few kilometers north. It is the first ever indoor-outdoor waterpark that offers amazing water activates. Slides, splash, rides and other attractions suitable for all ages. It set over a whopping 15,000 square-meters, Wahooo! guarantees hours of joy and is a major fun destination if looking for things to do in Bahrain. It is the home to 600+ camels. It this Bahrain attraction on the outskirts of Manama is more of working farm than a tourist trap. It is a hobby farm started by the uncle of the King, Sheikh Mohammed. Seef Mall is the second largest mall in the Kingdom of Bahrain. It is located in the Seef district of the capital city, Manama. The Seef Mall is directly connected to Fraser Suites at the western end of the mall. The Tree of Life (Shajarat-al-Hayat) in Bahrain is an approximately 400-year-old, 9.75 m (32 ft) high Prosopis cineraria tree located 2 km (1.2 mi) from Jebel Dukhan. It is the only major tree growing in the area, and approximately visited by approximately 50,000 tourists every year. It is very popular because it is believed to be growing in the middle of nowhere, with no water source and has never been watered once throughout history. Bahrain also has little to no rain throughout the year. As a result, it is also believed to be the site for cults practicing ancient rites. This is the best tool in getting you organized for your trip!